The Speed Skate PEI club would like to extend an invitation to all members of SLSSC to the Atlantic Cup Speed Skating Championships, on November 16 & 17 in Charlottetown, PEI. 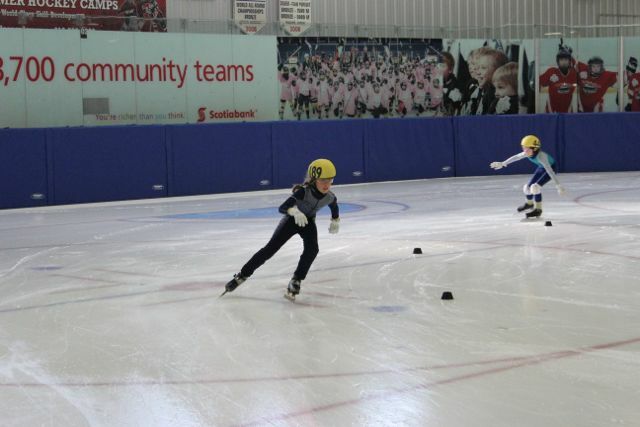 The Cambridge Speed Skating Club will be hosting the 1st Provincial Racing Series meet of the 2013-2014 season. This 2-day event will take place November 2nd & 3rd at the Hespeler Memorial Arena in Cambridge. More information can be found on the OSSA website or by reading the Official Announcement. Registration forms, with payment, must be returned to our club Registrar, no later than October 23rd, 2013. Seed times can be found in the Rankings list on the OSSA Racing page. 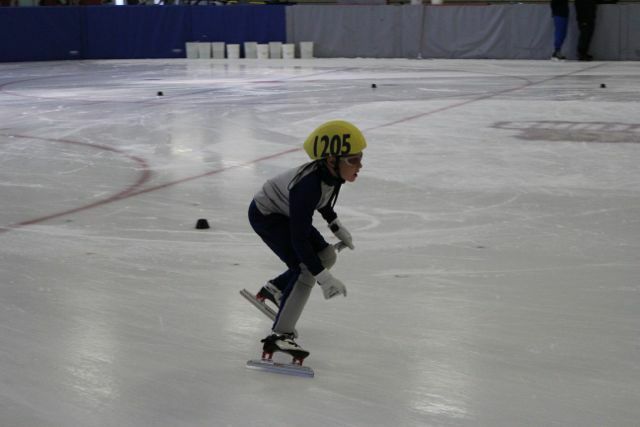 The Gloucester Concordes are hosting the Easter Regional Meet #2 on November 2nd, 2013. Registration forms can be found on the OSSA website under the regional racing section. Forms, with payment, must be submit to Heather, no later than Wednesday October 23rd, 2013. More information can be found by reading the announcement posted. Seed times can be found in the Rankings list on the OSSA Racing page. If you do not have a seed time listed, please talk to the coaches on Tuesday and they will help you out. The Fit Kits will be back at the rink this coming Sunday and Tuesday evening. If you are still interested in purchasing one, this will be your last chance to try them on, as they have to be sent back to Montreal this coming Wednesday October 16, 2013. Don’t miss out! Andrew Chartrand – 12th (Charlie). Pb’s in the 400m, 500m, and 1000m. Nolan Roney – 14th (Echo). Pb’s in the 200m, 400m, and 500m. Cameron Mackay – 11th (Foxtrot). 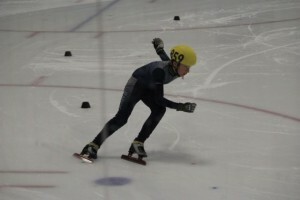 Pb in the 500m. Paige Besner – 3rd (Golf). Pb’s in the 200m and 400m. Andy Giroux – 7th (Golf). Pb’s in the 200m and 500m. Annella Roney – 10th (Golf). Pb’s in the 400m and 500m. Ethan Mackay – 8th (Hotel). 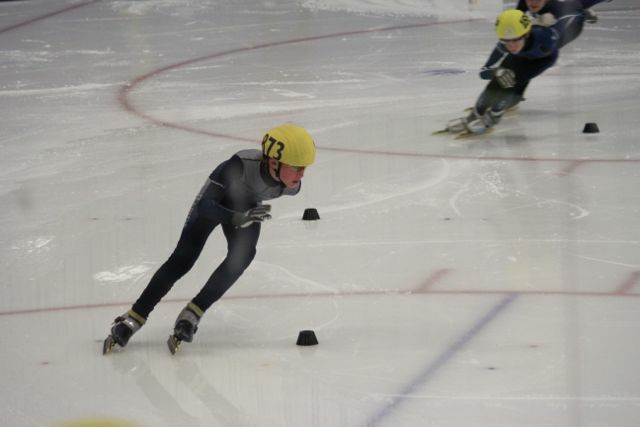 Pb’s in the 200m, 400m and 500m. An extra congratulations to Paige Besner for breaking the 60 second barrier in the 400m. Cupcakes were enjoyed by all who were at practice! Official protocol can be found here. Personal Best page has been updated and can be found here. Here are a few pictures from the meet. 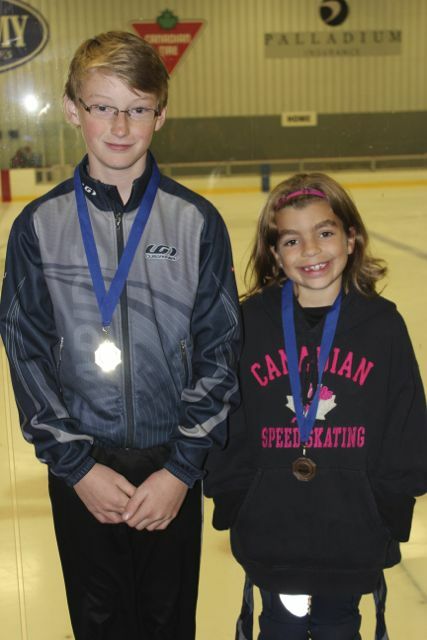 Attend one of the two upcoming clinics, and learn to sharpen your child’s skates, or refresh yourself on your technique! Bring yourself, and your children’s skates. If possible, to make it time efficient, please don’t bring your children to the clinic – we can likely get someone to keep an eye on them at the rink if necessary. Sharpening is done by hand, and the club has 5 sharpening kits for your use throughout the season. Ultimately, skate sharpening will take between 15 – 30 min, about once per month. Club members – please return the sharpening kits to the rink so that they are available for the clinic! 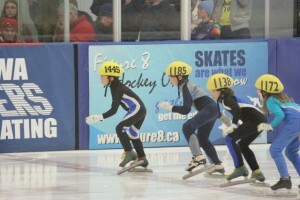 Great weekend of skating was had by all who attended the Ottawa Pacers meet this past weekend. 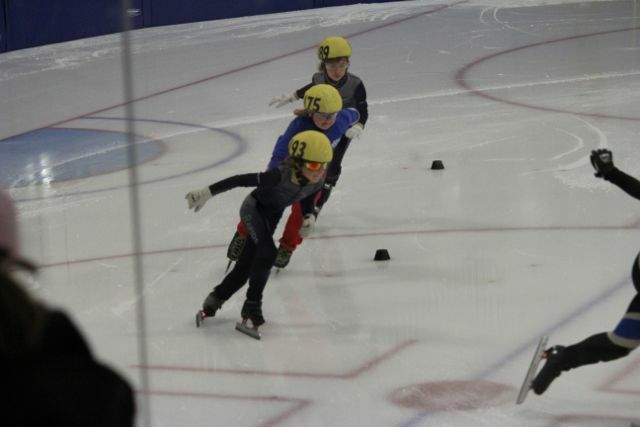 Overall, each skater set PB’s in multiple distances and 2 skaters reached the podium. Congratulations to Aidan Vanbeek for finishing 1st in the Echo category and Paige Besner for finishing 3rd in the Golf category. Final results, and more pictures, will be posted once the protocol is released. The Fit Kits are in. 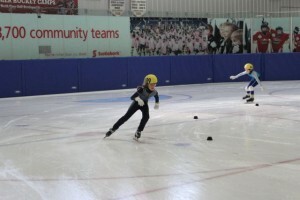 Betty plans to be at the rink this Sunday evening, around 6pm, so Skaters can try them on. If needed, she will also be available next Sunday (October 13). If you have any questions, please let Betty know. The “Fit- Kits” have been ordered from Louis Garneau and should arrive later this week. This will allow skaters to try on a Jacket or skin suit for proper sizing. Fitting sessions will be set-up at next week’s practices. Unfortunately, we do not have enough requests to place an order, so there will be a surcharge. The final cost will also include shipping and tax. Make sure you have all your equipment every time you come to practice so you can participate.